So today’s drink of the day is based on a fabulous drink I had when I was on the big island of Hawai’i. 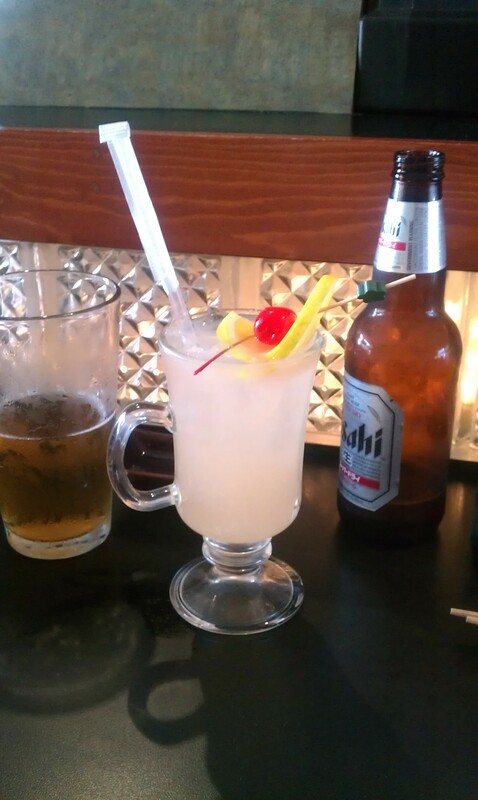 I ordered this drink at a sushi place called Wasabi’s in Kona, HI. This tasty treat was sweet and simple, but it tickled my taste buds and I was very glad I ordered it. Vodka, Fresh Guava Juice, and Lime Juice. Pour 1/3 part vodka and 2/3 cup fresh guava juice into a chilled glass. Squeeze as much lime juice as you see fit to top it off. Garnish with orange slice and cherry. I hope this easy, yet satisfying drink leaves you as cheery as I was when I drank it! (Oh and not to mention I had an Asahi beer and some hot sake). If you ever travel to the big island, check out Wasabi’s. Their sushi and cocktails are definitely worthwhile. What is YOUR favorite Liquor?